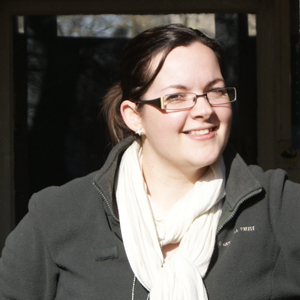 Ruth Webb works for the largest voluntary conservation organisation in Europe, the National Trust. With an interest in history from childhood, Ruth has pursued a career in the sector having studied both Archaeology and Museum Studies. Ruth comes from the North east of England but now lives in the Midlands with her husband and young son. Her real passion in life is for cake – as you can discover on the tea room review blog she writes with her step-daughter. Do you work in a museum? If not, where do you work? I have the great pleasure of working at Charlecote Park. The mansion house here is a registered museum due to the collections it contains. We also have a beautiful listed deer park which is home to a herd of fallow deer and flock of Jacob sheep. The tranquil gardens are a delight to wander through especially on a sunny spring day! Our outbuildings contain one of the most complete C16th brew houses in the country and the Victorian kitchen is frequently full of life with costumed volunteers cooking on the range and creating tasty treats! My job here is so varied – which is why I love it. I’m mostly based in the office where I deal with enquiries, income, social media, volunteers, planning, and so on. But I do get the opportunity to be out and about on site too. Meeting visitors and working front of house is always the rewarding part of the job. Sometimes I have to pinch myself, I feel so lucky to work in such a special environment! I have always had a great interest in history and people and undertaking a Bachelor’s degree in Archaeology seemed like a great way to begin. I thoroughly enjoyed my time at uni, studying and going on excavations. It was whilst on these excavations that I realised I loved to be able to talk to people about what was going on rather than being hidden away in a field or a lab. So, from there I went on to complete a Masters in Museum Studies. This was definitely more up my street and I learnt so much about interpretation, collections care and curating exhibitions. But lecture halls can only tell you so much about the sector and by working as a museum attendant with Tyne and Wear Museums alongside studying; I really enhanced my knowledge and understanding. My real education began when I got my first heritage based job with the National Trust and spent a year as a long-term volunteer learning what it was really like on the ground! Not sure really. I find other peoples enthusiasm infectious and I guess I feed off their ‘sticky’ moments. I always get a burst of pride when I see people responding to tweets and blog posts that I have created. A recent great moment was when Charlecote Park: Uncovered was named the National Trust’s blog of the month in January 2013. We used a photo of our resident cat, Dodo, to promote this on twitter and I’ve lost count of the times it has been retweeted and shared. Amazing to think of our Dodo being seen all over the world! I set up Charlecote Park: Uncovered in January 2012. Putting the initial blog together and keeping it going is my responsibility but I am fortunate to have a very talented pool of colleagues to draw on to provide me with regular blog posts. This means we have a range of topics which gives a good representation of what goes on at Charlecote. Blogging is something I enjoy doing outside of work hours too. I write for the Heritage Open Days blog and also review tea rooms with my step daughter on our own site, The Icing On Our Cake. I am really passionate about heritage which is why I love to blog about it. Through all of the blogs I contribute to, I cover a wide variety of topics and viewpoints. From a Charlecote: Uncovered perspective, we use the blog to show-case what we do each day. Although we’re trying to open up our work and carry out tasks in front of visitors on site, there are some jobs that do get done behind closed doors so it is nice to be able to involve people in our work virtually. It enhances people’s understanding and, I hope, demonstrates the importance and value of our work. On the Charlecote blog, the most read post is, “Becoming a (Victorian) Costumed Guide.” It is just a short post really but gives a flavour of what the role entails in our Victorian kitchen. Another top post is from Dame Judi Dench. Judi used to live in our village and has quite a connection to the site. When she visited us for our NGS Garden party last ‘summer’ (I say summer – typically British – it poured!) she shared some of her memories, which we shared on our blog. On my cake blog, the most read heritage-linked post is about a visit to the café at the Shakespeare Birthplace Trust in Stratford upon Avon. Cake is such an integral part of heritage, I feel. Barely a visit goes by without the inclusion of a slice of cake and a cup of tea somewhere. And now that I work for the National Trust, I really see the importance of it financially too. In Warwickshire, where I live, Shakespeare brings a lot of people, trade and money into the local economy. The new cafes opened by the Shakespeare Birthplace Trust help to keep the funds up in order for the Trust to keep up their work, promoting Shakespeare, his works and also caring and conserving the buildings associated with him in Stratford upon Avon. So if you do pop into a museum cafe for a coffee, why not have a slice of cake too…? It all goes to a good cause! It was a Shakespeare Duck from the Servants Hall shop here at Charlecote! A bit of fun and frivolity! I’d love to open my own cozy coffee shop! Do I tweet?! YES! I love it! I tweet for work (@CharlecoteNT) and myself too (@MrsRuthieWebb & @IcingOnOurCake) – I guess I’ve a bit of a multiple twitter personality which makes me thankful for platforms like tweetdeck! I find that twitter is brilliant for getting real views, news and reviews. I love that it is instant and up to date and connects me to people around the globe. Volunteer! The best way to get real experience and knowledge is to volunteer as much as you can. Trying out various roles within a museum by job shadowing or volunteering can save you time in the long run as it will help to focus your interests and help you identify training opportunities/venues. The contacts you make could also become invaluable too! Thanks for participating in Meet a Museum Blogger, Ruth! In case you missed it, Ruth blogs at Charlecote Park: Uncovered, Heritage Open Days, and The Icing On Our Cake. Whew! That’s a lot! Do you have any additional questions for Ruth regarding her profile above? Feel free to start a conversation in the comments below or reach out to her directly on Twitter. Her personal Twitter handle is @MrsRuthieWebb. I highly encourage you to use the #MuseumBlogger hashtag. TY! Tags: Charlecote Park, Charlecote Park: Uncovered, Dame Judi Dench, Heritage Open Days, National Trust, Ruth Webb, Shakespeare Birthplace Trust, The Icing On Our Cake, Tyne and Wear Museums. Bookmark the permalink.